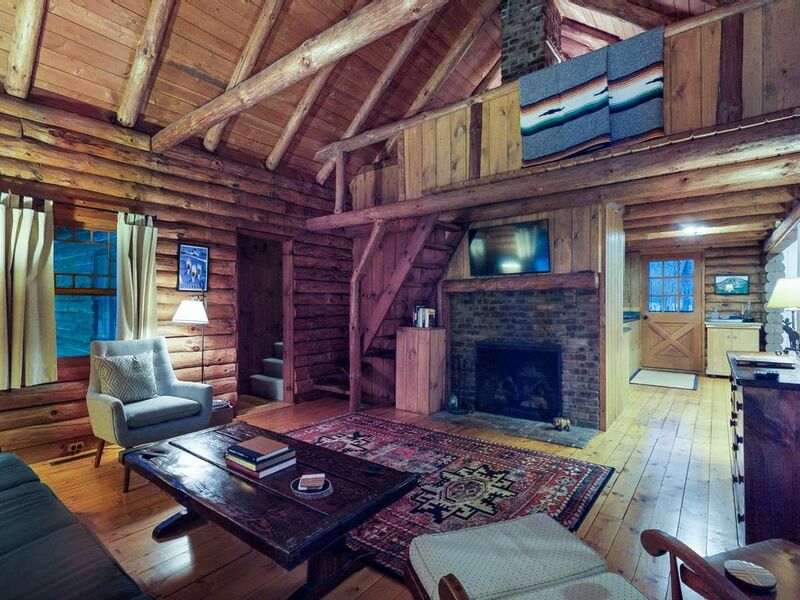 A memorable vacation awaits at this dog-friendly log cabin in Winhall, offering a gas fireplace perfect for cozying up after a day of adventures. You'll love sipping your morning coffee on the small porch, curling up with a book, and retreating indoors to watch your favorite shows and movies on the flatscreen TV. You'll be three-and-a-half miles from the Bromley Mountain Ski Resort and just under 13 miles from the Stratton Mountain Resort, where you can experience all your preferred alpine activities such as skiing and snowboarding, and grab a bite to eat at Stratton Village. The restaurants, shops, and entertainment in the town of Manchester are six miles from your door. Peaceful, location was great, very clean, it’s definitely a place for family or friends to get together. This house was much bigger than expected and it was so nice/fun! Definitely would recommend to a friend and stay there again. It’s roughly 40 minutes from mount snow and 15/20 to Stratton but either way worth the stay!